Strange 25th Anniversary Portfolio, part 3 | 'TAIN'T THE MEAT… IT'S THE HUMANITY! 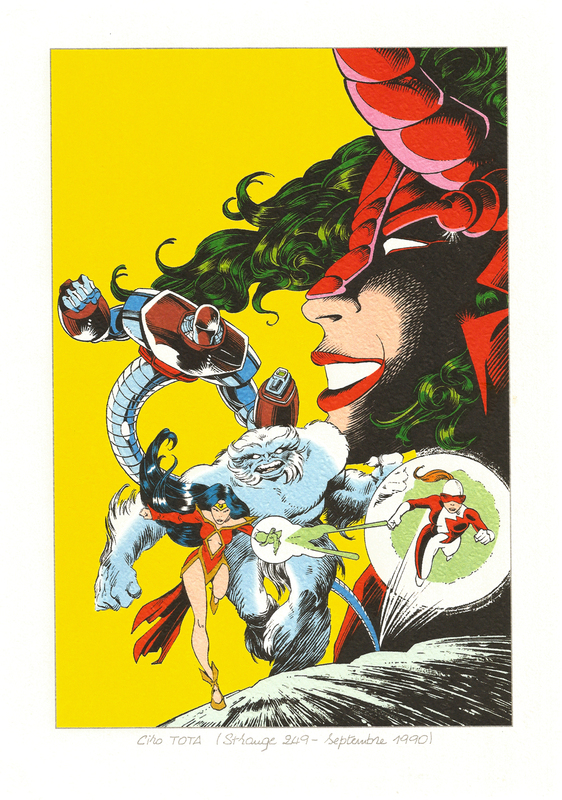 Published in 1995 the Strange 25th Anniversary Portfolio contained 25 full-colour plates featuring covers from Strange, a monthly title published by Editions LUG that reprinted Marvel comics translated into French. I looked at the first eight plates here, the second eight are here, and this third batch contains the last nine plates in the portfolio. 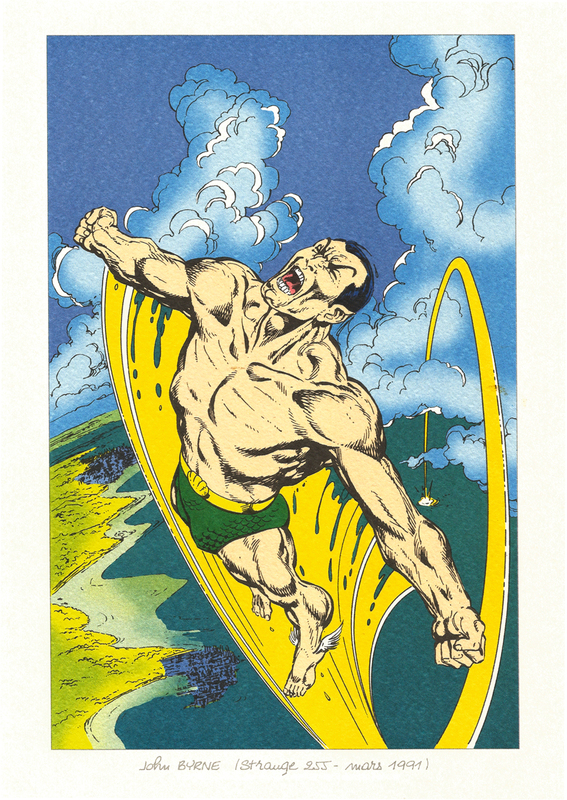 Editions LUG was the brain-child of writer Marcel Navarro and would-be publisher Auguste Vistel, who established the company in 1950 to publish original comics as well as American reprints. 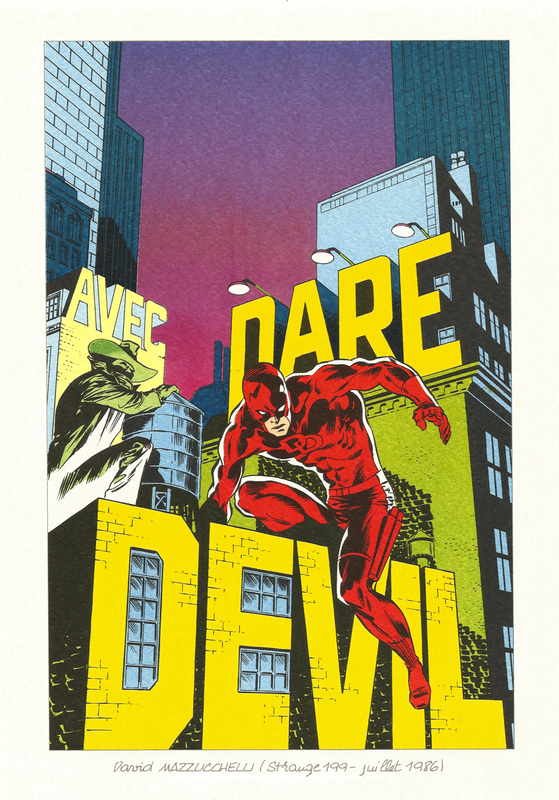 In 1969 and 1970 they launched three monthly digests featuring stories from Marvel Comics translated into French. 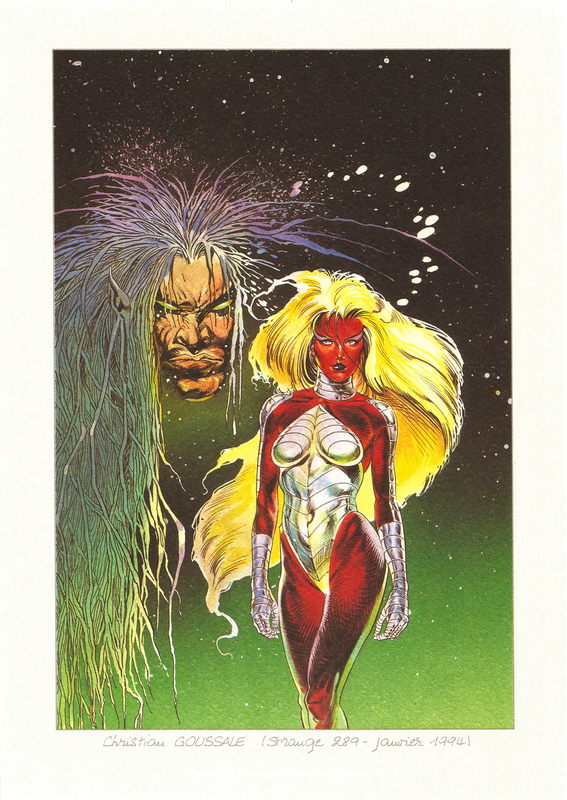 Two of the comics, FanTask and Marvel quickly fell foul of French censors who objected to their violence and forced the cancellation of the titles less than a year after their launch. 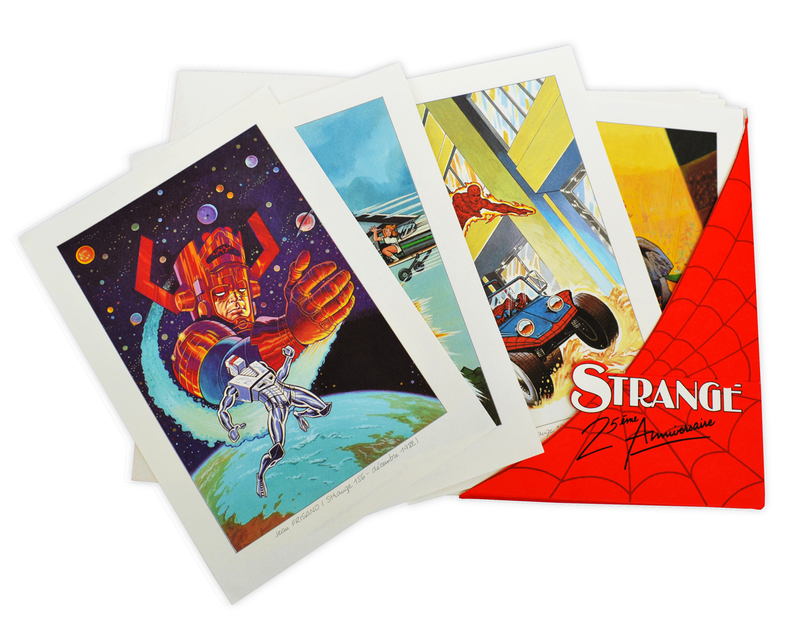 The remaining title, Strange, was launched in January 1970 and quickly proved popular, remaining in print for over 25 years. Bolstered by the title’s success more Marvel reprints were added to Edition LUG‘s roster over the next decade: Special Strange; Titans; Conan; Une Aventure des Fantastiques (featuring The Fantastic Four); L’Araignée (featuring Spider-Man); Ka-Zar; Planète des Singes (Planet of the Apes); La Guerre des Etoiles (Star Wars); Nova; Spidey; Thor and X-Men. 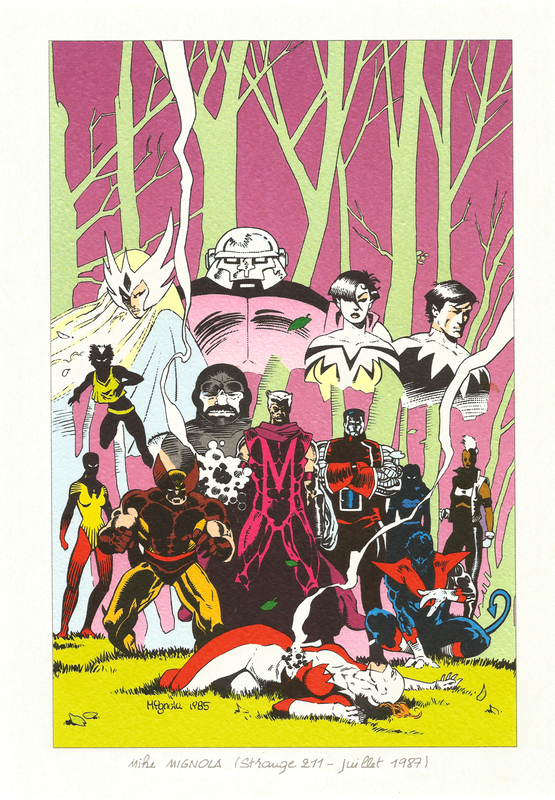 Following the death of Vistel and the retirement of Navarro in the mid-Eighties, Editions LUG was sold to Scandinavian publisher Semic Comics who continued publishing Marvel reprints until 1996 when their licensing deal with Marvel ended. 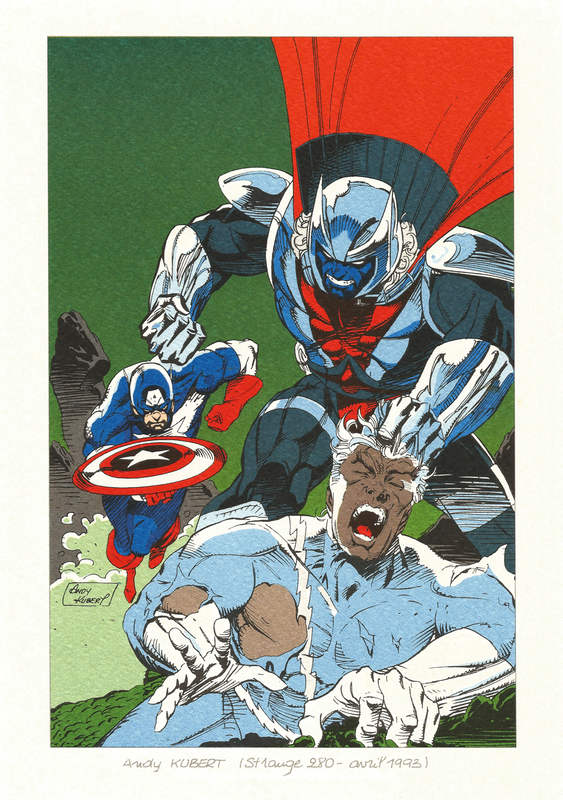 By that time only Strange, Nova and Titans were still being published and despite being relaunched using reprinted material from DC, WildStorm and Image, all three comics were eventually cancelled in early 1998. The plates included in this anniversary collection measure 210mm by 297mm and are printed on thick watercolour paper. 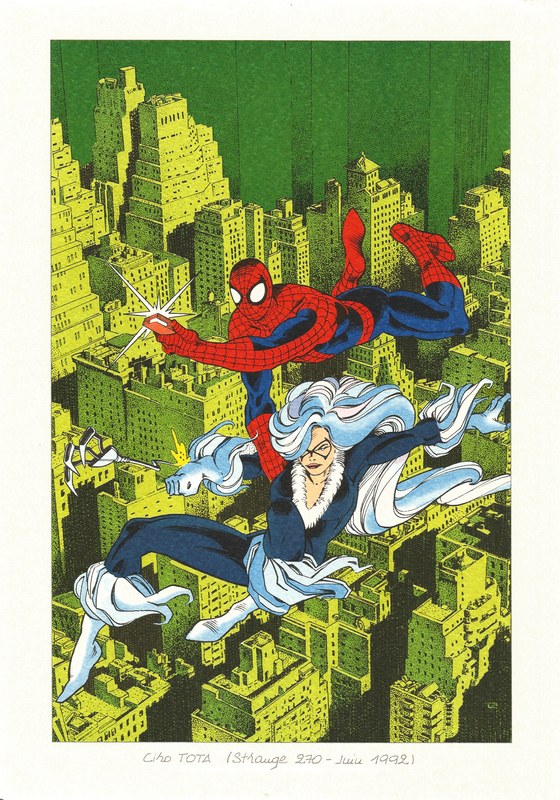 The portfolio shipped in a distinctive cardboard folder featuring Spider-Man’s mask, with a tracing paper inlay sheet to protect the plates. The portfolio was limited to only 5,000 sets, of which this is number 3699. I must confess that these last nine plates are my least favourite of the portfolio. 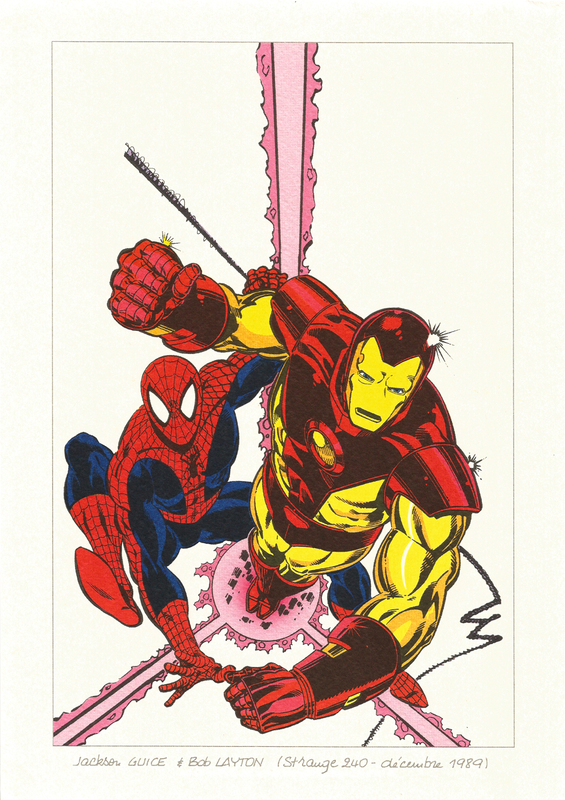 I’m not a great fan of Marvel artwork from the late Eighties and early Nineties as it looks a little too homogenised to me. I much prefer the plates from the early Seventies and Eighties, especially the covers painted by Jean Frisano. 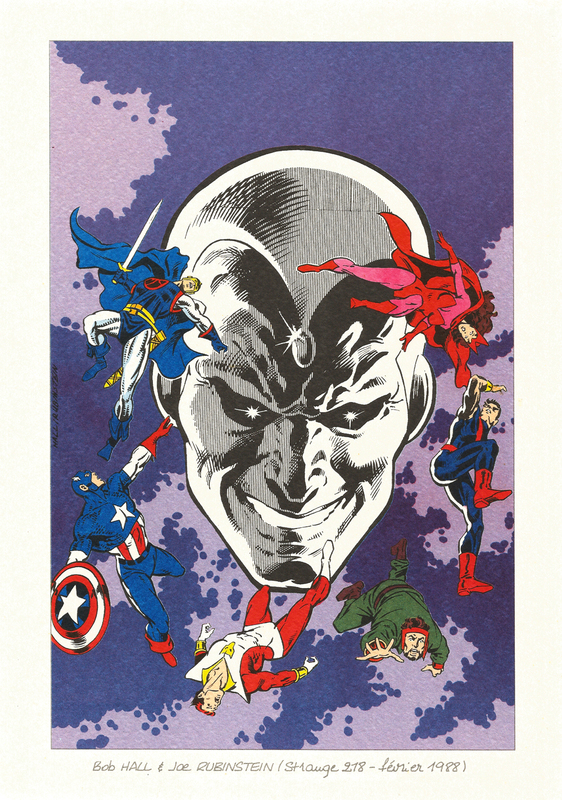 As this anniversary portfolio was published a year before the last Marvel reprint issue of Strange (and despite my reservations about this last batch of plates), this collection works as both a celebration and a eulogy for a title that helped introduce Marvel to a generation of French fans – a fitting tribute for this popular and influential comic.